Are you suffering from lack of traffic? Or maybe you don’t know, how to start making SEO for your blog? Or, in worst case, Google Penguin or Panda affected your site? Below you will find 19 simple SEO tips, how to beat your rivals in Google. In this post I wouldn’t write about obvious things – content. It’s common knowledge, that content is the king and if your articles are low quality, even these tips will not help you. 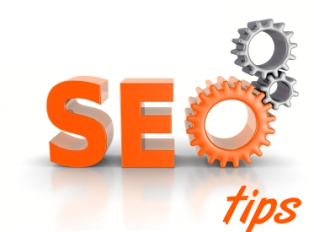 I’ll focus your attention on three parts of SEO: onsite tips, offsite tips and general tips which can help you in making SEO for your blog. Why you need traffic from search engines? How much time and money you can spend on it? How long you can wait for results? Do you have knowledge about SEO? 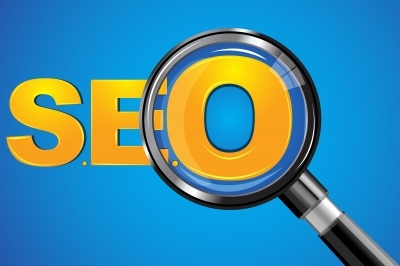 After answering on these questions, you will have wide picture of your “SEO plan”. To have your plan more detailed, you must go to the next step. These days SEO isn’t “fast and easy”. It’s not enough to create great content with proper keywords and put some links. Google reveals, that for creating their SERPs, their engineers take into consideration some hundreds factors. And more than one hundred of them is changing each year. Do you really have time for following them? Ok, you decide to do it by yourself. Now you have to check your competitors. It’s long way ahead of you, but there are some services, which make it easier. After recognizing your competitors, their “power” and keywords, you should try to find proper keywords for you. Proper means with low competition, connected with your niche and with a lot of performed searches. Google Keyword Tool is totally free, but isn’t so complex like Market Samurai. Keyword research should be performed alternately with competition research, due to changes in SERPs. Some bloggers (especially web designers) totally forget about SEO during creating their websites. So below there are the most important elements, that you don’t have to forget! – create a sitemap for your site (both as normal page and as xml format). It means you should use your keywords (researched in 4th point) in proper way. But remember : they should look naturally. Avoid keyword stuffing (putting too much keywords to the text) in your articles, as Google may penalize you for this. Hyphens are treated as spaces between words. It helps Google and other search engines to find unique content on your site. Internal linking is very important onsite factor for your site. Besides, you can use proper anchors here. Linking to other sites is good for you ranking. your links should be related with topic of your blog or article. Google loves various type of content on your site. Getting different types of links makes it “natural” for Google. It is similar to point 11th, but it’s not the same. Take special care to vary your anchor text and targeted pages. Especially now, Google is monitoring it very strictly. If you want to show that your site is worth to be visited by search engine spiders, you must update it often and in regular intervals. Google and other search engines place emphasis on social factors – so you must adapt to it. Besides, it has more advantages, not only SEO. Prepare competition, great video, infographic or killer article. Internet readers will link to your site spontaneous. In contrast to PPC, it couldn’t be performed in one day or even a week. So you must be consistent in your work. In some niches it’s almost impossible to use only White Hat, but you should try to avoid some actions. -don’t participate in links and content farms. The world of SEO is changing very quickly. Just remember all the latest changes in Google algorithm : Penguin or Panda, just to mention the big ones. Something, what was working some days ago, may not work today. So you should monitor it. Can you add something else, maybe some other tips and tricks about SEO? Please let me have your suggestions in the comments below, thanks! Get serious about keyword research. Thanks Erik! Keyword research is like gold prospecting. Without a good SEO practices, any website would be lost in the oblivion. Most of the notable websites we see today are purely SEO friendly. So, it becomes crucial for every blogger or webmaster to make good SEO a top priority. Onsite and Offsite SEO should be considered and applied at whatever cost. Thankfully, a post like this reveals some of the best practices that work. Whatever be the case, the blogger must ensure that SEO practices employed meet the yearnings of the visitors as well as the search engines. The 19 tips shared here are spot on, and it is important to develop a good way to scale or measure the effectiveness of the strategies applied! SEO is still alive and very important, Sunday. Not only for beginners, every blogger should follow these tips to take blogging to next level and grow it effortlessly. Thanks for sharing. Personally, I think SEO is pretty clear cut. All you need is to pump in some good planning, understanding of what Google wants and on top of that, some good on page SEO. You make SEO sounds easy, Reginald. May be it is, depending on points of views. You’ve just listed simple, yet valuable tips on how to make SEO in your blog. This article of yours would surely be a big help for every beginner in blogging. As what I’ve read from the article shared above, you should first plan your SEO. Create logical WH-questions about doing SEO on your blog, and then answer it one by one. As what is said above, this step would help you see the wider picture of your SEO plan. The rest of these tips given are remarkable and important, such as making your content SEO friendly and using internal links. You’ve used bullet points in your article, and I must say that it’s helpful and it made your content much easier to read. I am glad to see you here reading and commenting, Ann. Wow, that was a feast of tips. I need to include various types of content on my blog. It has been a long time, since I have only articles. Outsourcing to a real SEO guy, will ease the work, but as you said black SEO tricks and we are gone for sure. Thanks for visiting and sharing your views here, Rohan! Thanks for sharing your experience, Harish! First of all thanks for sharing such great tips. I am new to blogging. I have purchase a new website and I hope these techniques will be very helpful for my new blog. Number 3 points are very important. Because we can analysis of our competitor where they are getting backlinks etc. In this point opensiteexplorer is also best for checking competitor performance. most of on-page SEO techniques is also good. for this purpose I am using yoast plugin that help me a lot. Anyway thanks for sharing such great tips. Glad to have you helped in any wat, Areesha.